In 2017, Nectar & Root moved into a new workspace in Winooski Vermont. In addition to our floral studio, we've also built out a brick-and-mortar boutique storefront with additional root for hosting pop-up events, photoshoots, and more. You can visit our shop on the weekends, both Saturday and Sunday from 10 am - 5 pm. Our two-level layout includes a bridal section as well as a separate area to shop for non-bridal vintage clothing, new and vintage jewelry, and apothecary perfumes and elixirs. If she had enough time in the world, Erin would love to be a dress maker, a jewelry artist and an aromatherapist, and she has dabbled in all of these hobbies while always returning to flowers. Erin has found that oftentimes the scent of a bloom, or the way a bouquet can be crafted to accentuate the shape and material of a bride's wedding dress, is what sparks her creativity for her custom floral design work. Featuring other talented makers at the shop helps to connect the dots between what Erin loves to do with flowers, and where she draws inspiration. She is excited to support more emerging female artists and business owners through her shop, and to make a positive space for folks to learn new skills and crafts through workshops and gatherings here. She also hopes that the everyday clothes and items she has for sale, can be a reminder to treat oneself by beautiful surroundings and small luxurious beyond what is prescribed to be "the most important day of one's life; the wedding." She believes that this no longer feels relevant to the modern woman, in many ways. 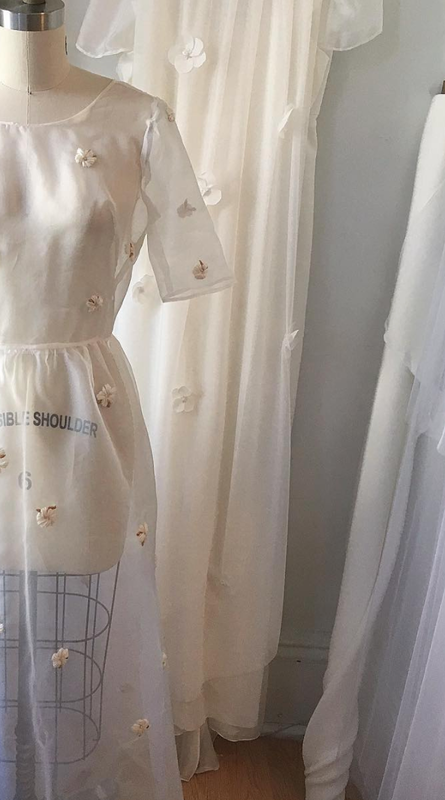 With our floral design studio tucked away in the background, Nectar & Root's shop includes a bridal dresses and accessories boutique featuring hand picked designers whom Erin believes in and is moved by. You can make an appointment for a private session to try on wedding dresses that Erin feels compliment the style of floral designs she loves to make, and you can also find unique wedding veils, jewelry and hair crowns, and beaded belts here as well as bridal jewelry that can be worn for years to come. We also carry gorgeous vintage wedding dresses that are one-of-a-kind, and robes and non-bridal dresses that would serve sweetly as honeymoon or rehearsal dinner pieces. 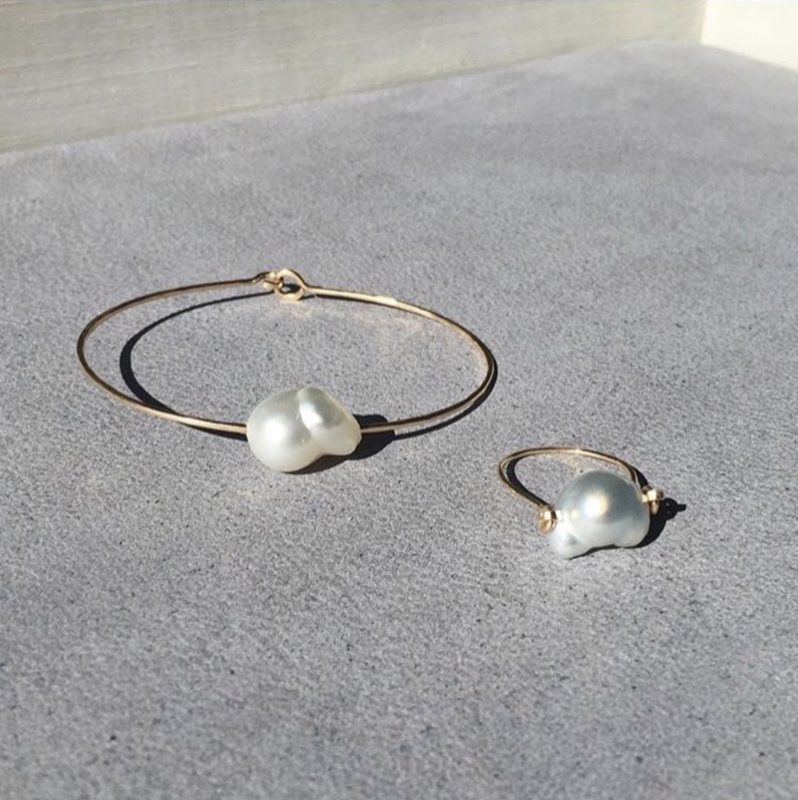 Some of our jewelry and apothecary items might also serve well as gifts or accessories for bridesmaids, too. We hope that your experience at our shop will feel inspiring, personal and unique. We believe that your wedding dress and the flowers you carry when you walk down the aisle should feel like you on a really, very good day. Scroll down to click the link for scheduling an appointment to try on our wedding dresses and accessories. The Nectar & Root Bride is someone who wants to feel like her purest, essential self on the day of her wedding. She is looking for a dress that makes her feel confident, stunning and comfortable, whether she is drawn to something simple and luxurious, exquisitely beaded, or even vintage. Our bride is excited to support wildly talented female entrepreneurs through the investments and choices she makes when planning her wedding, which goes deeper than lace, a delicate petal or a dusting of blush. She is an adventurer, in small or big ways, and she is excited to take steps in her wedding choices that feel special, unique, and in keeping with her everyday self. AURORA VESTITA: After working in fashion (Yigal Azrouël, Urban Outfitters, No.6, and Stone Fox Bride) and creating an acclaimed floral design company, Rawan was inspired to launch her own line by photos of her globetrotting family in Italy and Jordan during the 1970s. Their relaxed, well-traveled, accessible glamour resonates in the heart of the brand. Aurora, Roman goddess of the dawn, was said to wake the world by flying across the sky tossing flowers to announce the arrival of the sun. Aurora Vestita honors the heritage of its namesake by capturing ultra-feminine, ethereal beauty through luxurious, exceptionally wearable silhouettes and fabrics. Each Vestita (“dress” in Italian) is lovingly designed and hand-crafted in NYC with the highest quality natural materials, plant-based dyes, and positive energy. DIANA DEANE NYC: After seven years of experience in bridal and luxury alterations, Diana saw a need for a more curated and special experience for the contemporary bride. Dresses, beaded belts, scarves, veils: Diana's unique style can be seen through her love of embroidery and draping. Dresses are streamline and form-fitting but she's not afraid of lavish fabrics with hand sewn beadwork. Hand beaded belts are a great accent for any bride. ESTHER JEAN DESIGNS: Esther Jean is a bridal bespoke label inspired by the old world charm of the 1920s. Esther Jean's hair pieces are hand crafted hair adornments inspired by the 1920s. Esther Jean offers intricate, stunning designs for bridal and special occasions. Click here to make an appointment to try on our wedding dresses or wedding accessories!